Now Jon reviews Valhalla Ubermod wordpress plugin so we talk to the creator Sean Costello. Great dev. and terrific plugins. Great show of course, gentlemen. Sean is among my personal favorite visitors to date. The Silence from the Lambs stuff cracked me up! Here’s a phone call-to the listeners who’ve took in to all the shows: I believe it’s here we are at a HRS wiki. Recall the show number where Jon spoken about distortion plugins? Me neither. The titles within the archive section are useful, however with over 160 shows I believe we want something a bit more comprehensive. Who’s beside me? Hi Guys, great show, I’ve learned a lot from listening! However will have an issue, I personally use a Saffire Pro 40 plus a GNX4 to record my guitar/vocals. 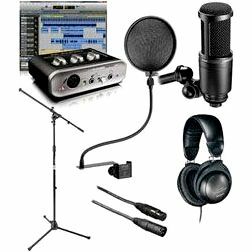 If you talk on the program you usually talk to recording sounds from amps using various microphones. After I record It’s my job to just plug in to the effects pedal, then in to the interface to trace rarely using my amps. Anything wrong with this? I simply think it is faster, cleaner also it appears to complete the job. Just time, searching toward your comments and suggestions. If only so bad a 64 bits build of ValhallaFreqEcho, it’s an excellent delay! Great show guys! freebies. this is actually the last day though. Awesome show, incidentally. Awesome show! Have to look at these Valhalla plug-ins and do a comparison to Waves’ equivalents, since I’ve got a coupon for waves plugins and am debating whether they’re well worth the money (even in a discounted rate). yashini suppayah: such an inspiring women you are to me Aileen!!! i love you for your personality so much!!!!!! i really wanna meet you in future!!! 알리야 로즈Alliah Rose: Oh. I thought when your recoding your podcast, your guest was with you too. zimtkopfliest: Your productivity…wow. I need to remember that’s okay not to be able to do this for me 🙂 One question: So you record most of the Podcasts with Skype or, for better quality, do you record your own questions, ask the other to record their answers and send it to you and then you go into editing it all together? Kesley Jones: Inspiration 💛✨ all from you! Anggi Febriani: Hi Lavendaire Can I Request you to make how we can survive our fearness in relationship,cause sometimes I feel like Im so afraid to loose him.thankyou. Joyful Living: I just started subscribing to your podcast, that’s gonna be awesome to listen to. I can’t believe how much you can manage to fit into your life. HoaiMy45: Reaching closely for 1M subscribers…. keep going on! Bianca Star: cant wait to listen to your new episodes waah!! Nat Mansfield: I wake up, don’t know what to do and I freeze, procrastinate and get anxiety. You accomplish so much in 1 week, when you said you had interviewed 11 people in a week I couldn’t even fathom that being me. I don’t talk with anybody besides the people that lives with me. You are an inspiration, I just feel so far behind in every aspect of my life, I don’t know where to start. thebeautygirl79: i can’t wait to hear the new season of the podcast. your choice of guests & the interviews themselves always inspire with new bits of knowledge. i’m looking forward to hearing from you and these fabulous people in the coming weeks. thanks, Aileen! Jessica: how did you plan the editing for all of those podcasts? do you just take them one at a time? Ursula Weissfeld: OMG I can’t wait until the AmandaRachLee podcast, my two favorite YouTubers in one podcast, you and Amanda. Mazhar Hayat: This video helps me to prepare the best for my Quiz Competiton that is going to be on 20th NOV please pray for me. Imane Chelioui: You are so good at makeup! Jo La: Great video. I want to say that, actually, tarot is absolutely mystical! I know it’s getting more popular, but the truth is that it’s a divination tool. Those are its roots and sadly with the popularisation of most things, the original meanings and intentions get diluted and eventually lost. This is what’s happening with tarot. Tiffany Lee: YaY!! I’m so excited for this new season!! Ash Cash: I am excited for the podcast! I am finally at a point where I can listen to the podcasts as they come out and maybe interact with other listeners.Thank you! Albie Knows: Talk about angel numbers! And I’m so glad you’ll be back on Sunday 🤗This was such in inspiration on podcasting and productivity and batching. You’re awesome!I’m launching a new podcast in 2019 and fun fact — I too record in our closet lol. After a huge clothing purge it made for the perfect studio lol. And Zencastr has been a dream to use! Now I just need to record a trailer for iTunes submissions lol. Erika Asuncion: Aileen! You amaze me! Angel Wan: How do you get so much energy even with jet lag?!?! Angel Wan: Such a busy bee!! Win Zee T: I love watching behind the scenes! It makes me appreciate more of what creators do to present their art. Your discipline and determination inspires me 🌟 take care and keep shining! Grace Lum: OMG OMG getting more in the video im so psyched youre interviewing MATT DEAVILLA! l love both ur videos and i listen to both ur podcasts!! The Caprõbatica Show: Hi Aileen!INSPIRATIONAL!!! Thank you so much for sharing your raw journey of recording the #Lavendaire podcast! Your (behind-the-scenes) demystified the complexities and I really love your minimalistic yet SUPER efficient process! I was stoked the entire video and definitely learned a lot!! !Liked + Shared!Please keep shining and I’m sending you my highest (⚡ #Caprovibes ⚡), a SUPERNOVA of positivity!!! Lisa Kim: The bit about standing up to record to keep your energy up was relatable and it was a cute and sweet moment of this blog!!! Made me smile!!! Keep up the good work!!! Joyita Davis: I’m so excited for season four of the Lavendaire Lifestyle! 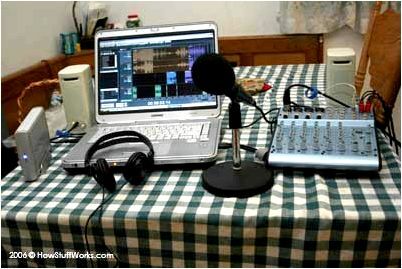 And I loved watching how much work goes into recording and editing podcasts. I can’t wait to hear what you have in store for the podcast this season! Samiha Khan: Omg omg a podcast with Amandarachlee!! This is so cool! She is my inspiration for bullet journals and you are my inspiration and angel for having a more peaceful and productive life 😍♥️ this is too cool ..! Adriana Girdler: So smart to record in the closet because of the clothing being like a soundproof. Also looks like a great app for recording. Cheers! Angel Pretot: One more excellent video! You did so much work in that week, I felt exhausted just watching this video. I would love it if you decide to make a video about them after you get familiar with them. I would be nice to hear your thoughts. amber chiu: Greeting from Taiwan ! May I ask which ancestral origins you are? I’m very happy to see Asian youtuber become popular, proud of you! Kevin White Jr.: Aileen, awesome video, you are a hard working woman.Thank you for sharing your life. Aileen I have a question, what do you believe happens when you pass from this life to the next? Rocela Durazo Verdugo: I am here because of your podcast with Matt 🙂 Great to found your channel. Cindy Webb: This was so interesting, I love these behind the scenes videos seeing your whole process. Never would have guessed you did them in a closet lol! Looking forward to the podcast! Pamela Kwong: Congrats on finishing the podcasts! I can’t wait to hear the last season! Siraj Raval: Love this, inspiring Aileen! Mark V: Thank you for sharing. Artonique Nelson TV: i love your videos so much! Tinneihat Haokip: Aileen my girl👧 thanks for your new uploading video…u’re so informative anyway best of luck for your tommorow interview… u’ve sweet and soft voice. roedah: I love this- your channel is one of the few that has truly inspired me to put out content as well! It’s always so refreshing and calming to listen to your podcasts <3 can’t wait for more! binniebean: can’t wait to listen to your new podcast! Lovin Pvris: Yes!! So excited!!!! Momma Schmooze Homeschool Reviews: Wow! That’s a lot of work! It was fun being a fly on your wall! Alissa Smith: Ahh! Tarot is life! I hope you love that Fountain deck. Some other great decks are Golden Threads tarot and Sasuraibito tarot! Iris Tsai: Wow, You are so productive after your travel. 🙂 Can’t wait for your new podcast series!!! Chia Vue: So glad your on Spotify too!!! Excited to start listening! haritha rajendran: Luv u so much aileen luv ur speaking style. Ur voice always brings some peace in my mind and I get calm. Leandra Colon: Yay excited for u and all the great beautiful things u create u r totally inspiring! Lib: I loved getting this insight into your life! It’s inspiring to see how hard working and creative you are ✨ can’t wait to listen to the podcasts! Rianna Bixler: I have that deck! It was my second deck I got. She’s the only one I use now. Tarot is great for reflection, and when you’re in a rut and when you don’t want to ask someone else/others can’t seem to help you. But as my original tangent for a comment, I get how exhausting things can get, when you’re busy and an introvert. I’m so excited though. I had to question myself yesterday, because I knew you’re on break, but I all of a sudden was like “What’s been lacking in my usual routine?” and it donned on me, it was your Sunday uploads!